Rick is a Director in charge of the Firm’s San Antonio, Texas office and is a Past Chair of the Construction Law Section of the Texas State Bar (2001 to 2002). He is board certified in Construction Law by the Texas Board of Legal Specialization and holds Martindale Hubble’s highest peer review rating of “Preeminent AV” and Martindale Hubble’s designation as a Top-Rated Lawyer in Construction. 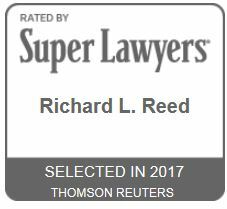 Rick has been consistently selected to the Texas Super Lawyers list by his peers since 2012 (Thomson Reuters). 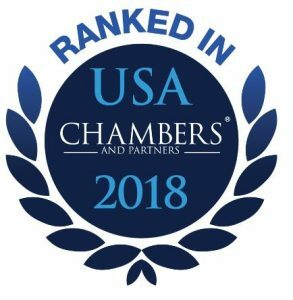 Rick has also been recognized by The Best Lawyers in America® in the area of Construction Law for the years 2010-2018 (Woodward White, Inc.). He has been named by Chambers & Partners to the 2018 “Leaders in Their Field” in Construction – Texas. Under his leadership, the San Antonio office of Coats Rose has been named to the Best Law Firms 2019 list as a top Tier I law firm for Construction Law in the San Antonio Metropolitan area by U.S. News & World Report. In 2017, Rick was inducted into the Construction Lawyers Society of America (CLSA) by invitation. He is now a CLSA Charter Fellow. Rick serves as an Arbitrator on the American Arbitration Association’s Construction Arbitration Panel of Neutrals and is licensed to practice in all Texas State Courts and in the Western Federal District Court, the Fifth and Eleventh Federal Circuit Courts of Appeals, and the United States Supreme Court. Rick has significant experience in the drafting and negotiating of all types of engineering, procurement and construction contracts for major projects. Prior to joining the Firm, he served as Assistant General Counsel to a large privately-owned construction firm. He taught Construction Law as a Senior Lecturer/Adjunct Professor at The University of Texas at San Antonio, College of Architecture, for the first six years of its Construction Management Degree Program, helping UTSA obtain the American Council for Construction Education’s accreditation of the Program in 2014. 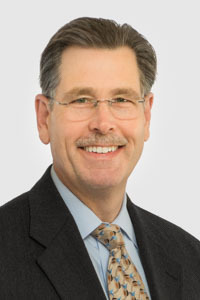 Rick also has extensive experience in developing strategies for and managing complex construction litigation matters, as well as other types of commercial law disputes. Through his work with the Texas State Bar Construction Law Section, Rick has established relationships with numerous, highly competent construction litigators and expert witnesses across the country. Please refer to the list of Rick’s accomplishments below for more information. Represented a client whose commercial storage facility flooded as a result of the improper redevelopment of commercial facilities on the adjacent property. By arranging for an early mediation, Rick helped the client and the adverse parties reach settlement before any meaningful discovery commenced, resulting in the client avoiding extensive discovery and litigation costs. Represented a federally chartered credit union in connection with the development, design and construction of client’s office headquarters complex, including the formation of a joint ownership entity to develop the project with mixed use retail and Class A tenant lease office space and including the preparation of development agreements, design and construction contracts, joint ownership documents and commercial leases. Undertook representation of a major public owner on all aspects of procurement and contracting for the design and new construction of a $900 million construction project in Austin, Texas. The project includes new construction of 1,500,000 square feet of modern, high-performance office buildings connected by underground tunnels and parking facilities, and also includes analysis of insurance policies of prospective project management, design and construction firms. Represented a construction contractor in a dispute relating to a defective design specification issued by a public owner. After the client raised the issue in writing, the owner insisted the specification had to be followed, which led to significant construction defects in the finished work. The parties had been unable reach settlement in a mediation handled by prior counsel, but after careful legal research into the issue of an owner’s responsibility for defective design specifications, the client was able to present a very strong position in a resumed mediation that it had no legal liability to the owner for the construction defects. The client’s position was so strong that the owner agreed to accept the client’s first settlement offer previously rejected by the Owner at the first failed mediation. Represented a public owner in connection with the procurement of a water improvement project estimated to cost approximately $200 million, including advice on the use of alternative delivery methods for the procurement of construction services for the project. This major civil construction project is a signature project for San Antonio and Bexar County because it will restore and result in major re-development along the banks of the original water way on which the City was originally founded. Represented a health care facilities owner with projects valued in excess of $900 million in major new construction of a new trauma tower, parking garage and central utility plant, and significant renovations to an existing hospital. Advice included analysis of procurement laws and methods; drafting of professional service and construction contracts; requests for qualifications and proposals; analyzing exceptions and qualifications; contract negotiations; review of insurance policies; and continued advice on all issues related to contract administration and warranty claims. The advice also included the use of a dispute review board process and resolution of a multi-million dollar dispute arising from defects in the design and construction of the facilities. Representation of a large public utility, advising on the use of the Design-Build alternative delivery method for the development of multiple service center facilities valued at over $20 million, and continued advice on contract disputes arising from the project. Represented a general contractor whose subcontractor installed a defective light pole that collapsed across the owner’s building. The clear cause: a manufacturing defect, not installation. The manufacturer went into bankruptcy. The owner’s property insurer still sued the general contractor (the client) and subcontractor, alleging they were “sellers of a defective product” and strictly liable under Texas law. Rick got the subcontractor’s insurer to assume the cost of defense for the client, and he persuaded all parties to agree to non-suit the case to allow early mediation to resolve all claims. Rick then established the general contractor could not be a seller of a product, and was not liable as a matter of law. The general contractor client successfully avoided all liability and costs of defense. Represented a large mechanical contractor, successfully recovering most of its contract balance for completed work on a remodeling project for a major internet servicing and data center facility, including a retrofit of the facility’s air conditioning system. The private owner claimed the system, as designed by a third party, failed to operate properly. In fact, the owner had obstructed progress of the work and expanding the scope and schedule far beyond the work originally required. After filing suit on behalf of the contractor, arranging key interview of a key former employee of the owner, and developing a multi-million dollar claim against the owner to demonstrate the bulk of the claimed defects were largely extra work, a settlement was finalized resulting in the client recovering more than 90% of its contract balance, all without taking a single deposition or even having to go to mediation. Defended a general contractor and its surety against suit brought by a government owner. After several attempts at mediation proved unsuccessful, a videotaped inspection of the general contractor’s work captured the owner’s own expert admitting the general contractor’s work was performed properly. Also, discovery lead to documents showing the government owner had accepted the project as complete, even though it later secretly attempted to persuade its architect to retract a certificate of substantial completion. Settlement was successfully negotiated to avert an imminent trial. The general contractor client recovered nearly 90% of its contract balance damages. Successfully represented a government owner in its pursuit of damages for design errors and omissions by the original architect and a mechanical engineer on a major data center project. The case required extensive analysis of the feasibility of the mechanical engineer’s mechanical and electrical system designs for the HVAC systems. After an early mediation that included the professional liability insurance carriers of each of the defendants, a significant settlement was achieved and essentially all funds paid for the failed design were recovered to allow the project to get back on track without ever having to file suit. Defended a general contractor against multiple building construction defect claims asserted by a government owner. By coordinating an early mediation process that included the contractor’s insurer, its subcontractors and their insurers, and the engineer and its insurer, the parties all agreed to concentrate their efforts on investigation of the alleged defects, and develop remedial solutions. The client was able to avoid major multi-million dollar liability. Settlement of all claims left the client with virtually no out-of-pocket loss, and without a single deposition being taken. Served as the Chair of the Dispute Review Board for the Henry B. Gonzalez Convention Center Project, a $300 million dollar project. Several disputes were resolved without further litigation after rendering formal determination of the Board. No submitted disputes proceeded to litigation.